Ulta 21 Days of Beauty continues. This is alas the last week! I have two more fantastic get gorgeous items to share with you before this sale ends! Cargo Swimmables Water Resistant Blush in Bali regular price: $26.00, today only price, $13.00. Tucked in it's signature brushed aluminum tin is a cake of softly shimmery, medium rose pink blush. This is my first Cargo cosmetic item and I didn't know what to expect. I must say, wow! The powder is finely milled but not fly away or dusty. Pigmented and rich, it isn't harsh or staring. The colour is well balanced and suits my fair, neutral toned complexion right down to the ground. There are two other shades: Los Cabos, a soft tangerine and Ibiza, a shimmering hot pink. Here is a swatch on the back of my hand. It doesn't take a lot of the product to get a nice hefty swatch. The powder applies smoothly and blends out evenly. I can apply this and it wears all day long. A testament to the lasting power of the Cargo Swimmables Water Resistant Blush in Bali, I put this on my face before I went to the salon to have my hair done. My stylist, a lovely gal, is a very enthusiastic hair washer. She can have the makeup off my face faster than you can say, "Bob's your Uncle." When my hair was all done, I still had some blush on my face. It didn't look freshly applied, but I could still see it. If a blush can survive, even partially, my stylist's vigorous attentions, it is impressive, indeed. Cargo Swimmables Water Resistant Blush in Bali, freshly applied pre hair appointment. Obviously. Just look at those miles of roots! 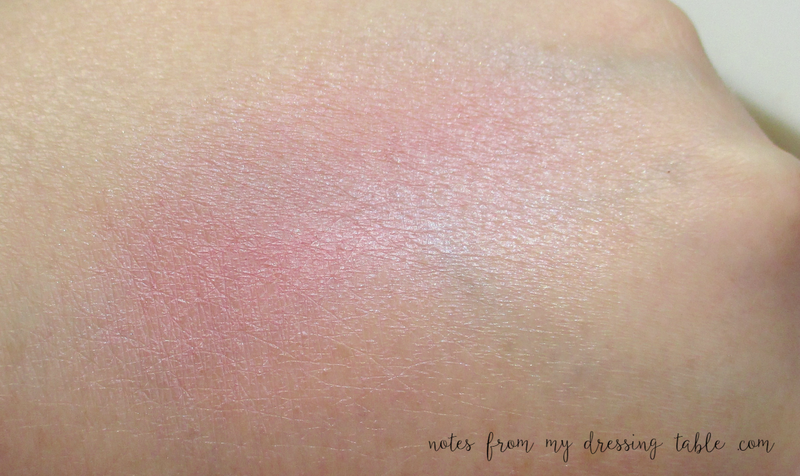 I am so impressed with this blush. The packaging is so cool. 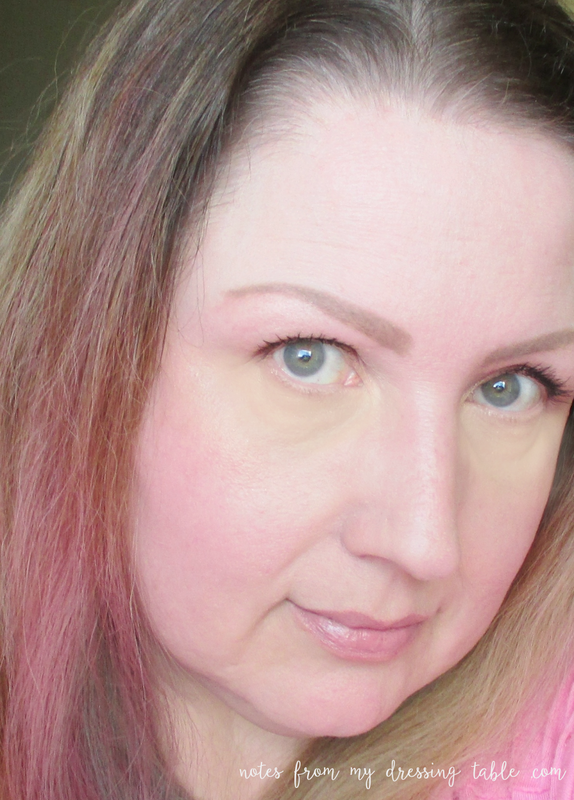 The quality of the powder, the pigmentation, application, wear; survived one of my hair appointments. It is a winner. I will be making more of these beautiful blushes mine, in the future! 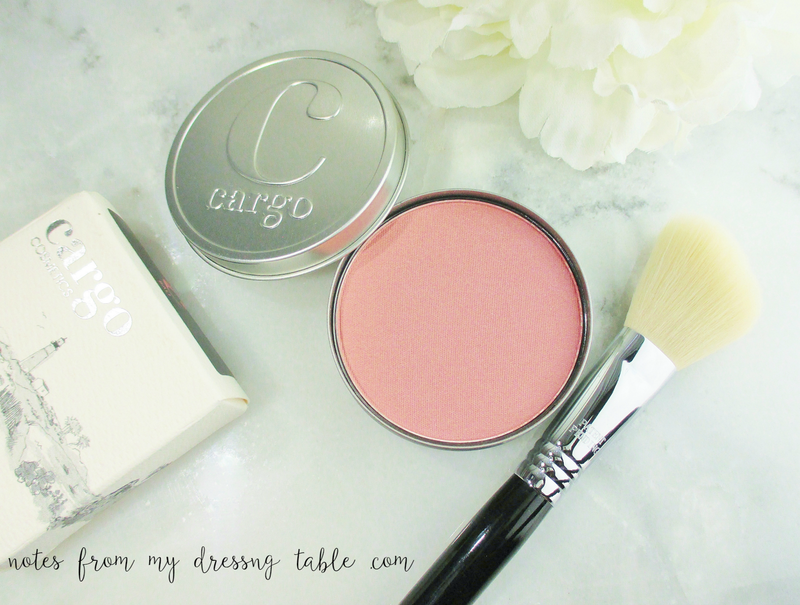 Do you own Cargo Swimmables Water Resistant Blush? Do you love? Love? Love? If you are going to take advantage of this fabulous price $13.00, yasssss!!! in what shade (s) will you indulge? CK One Color Brow Pencil + Gel Duo, Regular Price, $22.00 21 Days of Beauty Price, $11.00.